July 7, 2006 – K3LLY Cl4rkson has agreed to promote her own flavor of Vitamin Water. The only catch is the company won’t announce the deal until the “American 1dol” winner loses some more weight. Last year, 50 C3nt endorsed his own flavor of the trendy sports drink, which is said to have 50 percent of the daily vitamin requirements. The muscular rapper actually looks like he’s in robust health. Cl4rkson looks like she could lose a few pounds. Since the brand is all about fitness and health, she’s been put on a strict diet and the deal is secret until she slims down. Thankfully today I read that this is NOT true. Pop star Kelly Cl4rkson has hit back at new reports she has been told to diet or lose a lucrative new modeling deal, insisting the story is a joke. The first “American 1dol” winner has been dogged by weight problem rumors ever since she won the TV talent contest, but her publicists insist the latest reports that she’s on the verge of losing a deal with fitness drink firm Vitamin Water are ridiculous. A spokesperson for the singer insists, “Nothing could be further from the truth,” adding Cl4rkson has already shot her first Vitamin Water photo shoot. Not that that’ll be ever published on Page Six, so most of the world will continue to think it’s true. I’d probably still think it was true if I hadn’t been googling for the original story today to write an entry about how much this bothered me. The original blurb pissed me off for a number of reasons. First, that one sentence “Cl4rkson looks like she could lose a few pounds” made me want to walk all 700 miles from Indianapolis to New York just to punch columnist R1chard Johnson in the nose. Actually, I probably would have taken a plane. I don’t think I have the vacation time to walk 1400 miles round trip. Or maybe I could have recruited one of my New York readers to do it for me. One of you must love me enough to commit assault on my behalf, right? I will wire your bail money, I swear! People in the media who write comments like that about people who don’t need to lose weight are part of the problem. People like that are the reason so many women groundlessly feel badly about their bodies. People like that are the reason people hurt themselves with crash diets. Who among us hasn’t been hurt by one small flippant comment someone has thrown off about our weight? How must it feel for a powerful newspaper columnist to insult you when you’re not even fat? It’s like taking the power of that one comment some nasty boy in high school made about you and multiplying it by 100,000 or whatever the subscription base of the New York Post is. Secondly, I hate the implication that someone who looks like Kelly Cl4rkson could not possibly be fit and healthy. Physical appearance is not the sole indicator of a person’s health. You don’t just go to the doctor’s office, have them look you up and down and get a diagnosis. If so, we could all just buy digital cameras, e-mail our doctors self-portraits and never have to sit in a waiting room with year-old Reader’s Digest magazines ever again. Doctors do these little things like take your blood pressure, do blood tests, and listen to your heart. Then they determine how healthy you are. Sure, being extremely overweight or underweight is usually an indicator that other things are wrong, but like I said before, Kelly Cl4rkson isn’t fat, so why should anyone think she’s not fit? Unless they have access to her medical records, we really don’t know what condition she’s in. The third thing that pisses me off is that it sometimes feels like there is a cabal of thin supremacists determined to knock off any healthy-sized woman in the popular media. They probably have an underground lair located beneath a Tr1mSpa where they sip Sl1mFast shakes while having enemas. People like Kelly Cl4rkson or Kate Wi1nslet constantly have to deal with accusations that they are fat when they aren’t. At least when someone made fun of me for being fat I actually was fat. That must grind on you after awhile and it would be perfectly understandable if they started to believe the lies. I really admire them for NOT losing weight. Ultimately it is up to every person to decide how they want to treat their body, and if they decide to lose weight that is their business. But I like having role models in the media like Kelly and Kate and actual chubby women like Amrica F3rrera or M0’Nique. Seeing articles like this makes me fear that one of them will eventually break under the pressure and slim down. Then there’ll be one less woman like me in the media. We need to locate that underground lair and organize a raid ASAP. Anyone own a Hummer? What’s with the l33t haxx0r spelling? Getting too much Google traffic? I don’t want to get any trolls who are just searching for sites where they can make fun of fat people. So basically, yes. Amen to this. Every word of it. I wonder what that dude looks like anyway, that reporter. OMG Thank you! Made me feel tonnes better.. been having a bad day weight wise.. and your common sensical post made me feel better.. I’d take kelly Clarkson’s figure anyday. Oh and I’m in the Uk.. otherwise, I’d take u up on that grievous bodily harm attempt ;) just kidding.. Someone on one of those half-hour entertainment shows asked Clarkson about her weight a few days ago. [I think she’s just fine, by the way.] She said she doesn’t diet, eats what tastes good, works out because it’s good for her body and soul. Or something like that. Refreshingly REAL. And it’s funny that on the flip side after harping about the starlets to lose weight then they harp on them for being too thin. It’s as though there’s a perfect amount of thin (probably where you can see the bones between a woman’s breasts but never the rib cage maybe? Essentially an impossible weight for, you know, most everyone. Brava! I’ll walk there for you, it’s only about 540 miles for me and well worth the trip. I’m not the originator of this phrase but I will surely quote it here: FAT IS A FEMINIST ISSUE. Not that men never get fat-bashed, but society is so much more eager to tell women what they are supposed to look like (and everything else). It’s CONTROL, simply control. Once those pesky women have the vote and get their own jobs, you’ve got to find SOME way to keep them down! I think K.C. is hot! I love how you expressed what we all believe! KC really is an ‘Americ4n 1dol’… she’s fit… you see muscles on that girl, not bones.. how on earth could anyone call her fat?? what a world we have created??!! I’m not sure this is such a helpful way for you to be thinking. I am trying to lose weight, too. I have been slowly losing weight for 18 months, now, so far going from a BMI of 32.5 to one of 26.5, with a preliminary goal of 25.0 and a further goal–when and if I’ve stabilized there and gotten used to not being overweight–of less-than-22.0. It’s my feeling that you need to be used to being a certain weight for a while to “reset” it as what you believe in your heart to be the topmost reasonable weight for yourself. If you lose 40 pounds–but are thinking constantly, “I’m basically thin, compared to how I used to be!” even though you are still over a BMI of 25.0, I know from experience that you put yourself at greater risk of shooting rapidly back up in weight to whatever your true internal “red line” is. So that “red line” has to shift, and it takes habituation and time for it to do so. Also, since maintaining weight loss is the thing that 90% of dieters fail at, it’s evidently harder to do that than to diet anyway, so you may as well get good at it as you go along. Anyway, *healthy* weight, by contrast, is a pretty straightforward matter of average age at death for given BMI’s, and average incidence of diabetes, heart disease, high blood pressure, and other weight-related illnesses. Those things can and have been studied very clearly over decades, in huge studies (first, and most famously, the Framingham heart study). According to a recent review article Dr. Walter Willett of the Harvard School of Public Health, the star of this field, the cutoff between healthy and unhealthy weights is 22.0. Below 22.0, you do not have an increased rate of weight-related illness and death: it’s that simple. If you get below a BMI of 18 or 19, with an average build, you will start to look unattractive, but as long as you’re that weight from caloric restriction and exercise, rather than smoking or having a chronic disease, there’s simply nothing at all “unhealthy” about it. This is my reason for not signing up with the “body images are unreasonable” bandwagon. I think the musculature of male celebrities is unreasonable, as are the cup sizes of female ones, but neither group has unreasonable weights to aspire to, in the bulk. Most of them are just not fat, as opposed to being dangerously thin. If you visit Norway, where the *average* BMI is 25.0, or Japan, where it’s closer to 22.0 (ours is nearing 28.0), you might have different standards. I’m from Indiana, too, so I know what “average” means there, as opposed to other places–but the U.S. as a whole is genuinely, inarguably putting its health at risk with excess weight, and complaining about attention to weight in the media won’t change that, or make you, the complainer, any healthier. So, I feel like this last post was misdirected energy. Otherwise, I’m a huge fan, and full of admiration for how much you’ve lost so far. You’re becoming a weight-loss hero to thousands! What kind of tool would compare 50 cent with Kelly Clarkson anyway?? Anyone losing weight needs to do so for their own reasons: health/personal body image/etc. Increased attractiveness as a motivator in and of itself is a good one. However, I’ve found it has a nasty afterbite, in that you start wondering “would this person who loves me at this weight have loved me at my previous weights.” If you don’t lose weight for yourself, and only yourself, you’ll mentally lose the battle. Now, now, children, play nice. Don’t make me turn this car around! I’m not about to run anyone out of town on a rail for disagreeing with me, especially when they’ve taken the time to put together a well thought-out and polite post. Peter, I think you win the award for longest comment ever. I’m glad you didn’t hit a buffer overflow error :) As for your comments, I didn’t mean to imply the BMI is completely irrelevant. Obviously when my BMI was 54.9 I wasn’t fit or healthy. However, the BMI is such a flawed equation that I dislike putting too much emphasis on it since it doesn’t take into account body composition. There is the common example that muscular athletes like Shaquille O’Neill are qualified as overweight by BMI. I hit a plateau in the 220’s recently at least in part because I started doing Pilates and weight lifting, meaning I was reducing my fat and increasing my muscles mass. My BMI stayed the same, but I was certainly getting healthy and fitter. So when someone says a specific number magically means you are healthy, I take it with a grain of salt. (Oh no, my sodium levels!) The fact that they changed the BMI standards defining what is obese and overweightn in the mid 90’s (http://www.halls.md/bmi/nhanes3.htm) casts further doubt on its reliability in my eyes since overnight it caused thousands of people to go from being “healthy” to “fat.” BMI is probably the best measurement we currently have to gauge “fatness,” but it’s definitely got its problems. As for female attractiveness, I’ve read that hip to waist ratio is a pretty reliable rating of female attractiveness, with a .7 being optimal. So I guess I should be happy I’m pear-shaped! I have to wonder if the Canadian nuns had a longer life also because they lead less stressful lives in more secure living situations. They do not face health insurance problems and might have a more “zen” outlook on life (or whatever the Christian equivalent may be) that keeps them in better health. But even if we are to just go by the BMI standards, I highly doubt that K4lly Cl4rkson rates above a 25. It would be really interesting if we could somehow get data on popular star’s BMIs. But since all actors/acrtresses lie about their weight., I doubt we’ll ever get that information outside of kidnapping stars, hog-tieing them and weighing them. What do my LA readers think? I also think the media if very hypocritical about saying someone is healthy by just looking at their weight. Many stars smoke and smoking is at least as dangerous to your health if not more than being fat. It’s definitely more dangerous than simply being 20 pounds overweight. Yet I don’t recall seeing any articles lately where an actor gets asked about their smoking problem. So when a star is attacked for not being healthy, but only their weight is mentioned, I find it more likely that they are being attacked for their looks and not because they don’t eat enough veggies. I might not be making people any healthier by complaining about these issues, but I would hope I help make people see that what is healthy can be defined in other ways than just their weight. Weight should not be completely ignored, but it is not the sole indicator of what shape someone is in. Anyway Peter, thanks for your comment. I hope you keep reading and don’t be afraid to speak up in the future! I will protect you from the crowd over there with the pitchforks. Well, I understand what you’re all saying, and do sympathize with it. Basically, I’ll just be happy if what I wanted to say got through: that what’s a healthy weight (as opposed to what’s an attractive one, still less an attractive physique in general) actually turns out not to be a matter of opinion. So I will keep trying to lose weight until my BMI reaches 22, for the simple reason that, as far as the people who have devoted their academic careers to studying this can tell, I am significantly more likely to develop high blood pressure, heart disease, the preconditions for a stroke, or diabetes at some point during my life (which will also be shorter) at any weight above that. Once I’m at a BMI of 22, I will reassess and see how unhappy I really feel about celebrities’ bodies. I do know that as a man, I am likely to be much less worried about body image than I would be if I were a woman, so I apologize for blundering into what may be a heavily gendered discussion. Of course we are culturally conditioned (by television, mostly) to like and aspire to certain physical traits. Super-white teeth may be the most bizarre current example. But any such brainwashing aside, if your BMI is over 22, you’re genuinely going to live longer and be healthier at a lower weight. I realize I am probably taking all of this too seriously! I just feel like it’s really worth knowing–it was life-changing information, in my case–that you can demonstrably live longer, with less illness, below a certain specific weight threshold, above which the risks go up very quickly. I wanted to make sure that information got “out there” in the very interesting posts and discussions on this site. Thanks for listening, and good luck to all–especially our inspiring host. P.S. I don’t really know what Kelly Clarkson looks like these days (or, to be honest, ever), so that part of the discussion goes–ZOOP!–right over my head. Sorry. I doubt anyone knows what her BMI is. If it is over 22, let alone over 25–and it sounds from your comments as if it probably isn’t over either figure–she wouldn’t get a special exemption from the laws of public health: to be her healthiest, she would need to weigh less than that. And being healthy, and living as long as possible, for me pretty much define the things that you do, by definition, for yourself. I wrote my second post before reading your reply–basically, anyway, I agree with what you say. And want to reiterate that I don’t want to tramp all over people’s concerns about body image and media pressure with MY concerns about longevity. They’re not quite separate issues, since they both have a lot to do with weight, but they can be discussed separately. I may have been confused about what the discussion was meant to be about, and I apologize. Just a couple of provisos: There are relatively few people with enough muscle mass that their BMI’s become completely misleading. Professional athletes are definitely in that category, for the most part (for further proof of which, one need only visit http://www.consumerfreedom.com for plenty of gleeful, fast-food-industry-funded “debunking” of BMI, together with the idea of “healthy weights” and an “obesity epidemic,” all of which are shown there to be part of an oppressive, if somewhat mysterious, government conspiracy to try to control our diets and make us feel bad). If you think you have enough muscle mass that your BMI doesn’t correlate with the BMI’s of the world population as a whole any more, the waist-circumference measurements (as Willett suggests and describes) can be a useful check, since having a circumference above 34 inches is just about as useful a predictor of weight-related illness as a BMI of 22 is. So far as I can tell, the only reason not to use it exclusively it that it’s just a lot harder to measure, and changes a lot more slowly in our usual units of measurement than weight does. The U.S. government changed its standards for BMI in the 1990s to bring them into alignment with World Health Organization standards, which were considerably more realistic than our own. It was a good move that they did that, and it didn’t make BMI any less useful as a measure. (It did make it scarier, of course!) Of course, saying that 30 is “obese,” 40 is “morbidly obese,” and 24.9 is “normal weight” is inherently subjective–I quite agree. Those are just words. What isn’t a bit subjective about all this is the rates of morbidity and mortality at different BMI’s, with 22.0 being the upper limit for the lowest risk pool. Finally, it’s true that you must also be aerobically fit to drive your risk of illness and death down as low as possible. But it’s easier and a whole lot faster (it takes months, rather than years) to acquire aerobic fitness, and the blood-vessel dilation that accompanies it, than it is to get to a BMI of 25 or below for most American adults–so as a rule it probably makes most sense to aim for, and focus on the importance, of the low BMI before worrying about the aerobic edge. Anyway, keep on trucking! It’s a great site. P.S. I’m sure you’re right that nuns have a lot less stress than the average Jane. Sorry for the epic post! And don’t worry–I didn’t feel pitchforked, just disagreed with. P.S. On smoking, the silliness of not holding celebrities up to scorn who still do it (if the press is going to hold celebrities up to scorn for anything, which it evidently is), and how it totally trumps weight as a risk factor, I couldn’t possibly agree with you more. It’s insanely, insanely bad for you. You know what they say, “There are three types of lies – lies, damn lies, and statistics.” While I’m sure there are trends that relate weight and mortality, I still can’t subscribe to the idea that there is a magic number that means I’m healthy. Just because the average healthy BMI found in the study was 22 does not mean that your personal BMI should be 22. I would guess it’s probably plus or minus 2 or 3 points from 22, but people’s body types vary so much that I find it very doubtful that we all have the same BMI at which we would be our healthiest. And again, I bring up the fact that BMI does not take into fact your body composition. As you age you can be losing muscle mass, gaining fat, and stay at the same BMI though it is doubtful that losing that muscle mass and gaining that fat is good for you. I believe simply looking at your height and weight is a simplistic approach to determine if you’re healthy. It makes it much easier to make charts for sure, but just looking at a number goes against the holistic approach to medicine that takes into account a person’s whole lifestyle. Even if there is a magic formula that exists where we could determine how healthy we are, I’d like to think it’s fancier than just a simple division problem. There should at least be a square root in there, maybe an exponent or two, and definitely one of those funny looking summation signs. Even the quadratic formula has a square root in it! If you’re curious in reading more in-depth about the arguments against BMI as a definitive health indicator, I’d like to point you to J. Eric Oliver’s book Fat Politics. It goes much more in depth than I can and challenges a lot of commonly held beliefs about obesity. Even if you aren’t convinced by his arguments, maybe you’ll understand where I’m coming from better. I’m not saying BMI is complete BS, just that it has flaws that need to be accounted for and isn’t the only thing that determines your health. A good BMI usually accompanies good health, but it does not cause it. Hey, folks . . . this has been a really interesting discussion. Specifically to Peter (again): Sorry if I did’pitchfork’ you earlier. I guess if we’re going to post on PastaQueen’s blog, we should be able to play nice. Anyway, you’ve redeemed yourself by further explanation (not that you really had to.) By way of explanation on my part: I live in LA-LA-Land,where the pressure the media et al load onto women is a real, living, (heavy)breathing thing, not just something in magazines or T.V. Methinks ya hit a pretty raw nerve. Sorry for not playing nice on your blog. What a nice blog! Anyway, thanks for the follow-up, Pasta Queen. 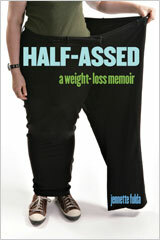 I simply love books about weight, so I promise to order Fat Politics and read it as soon as my summer starts. I suspect you are awsome. I am trying to lose 100 lbs, and am 26lbs in. It is the dog days still, as really, it is barely noticable. Even for me. I just found your site on Christmas day 2008, via your book, and have been back-reading it. As with everyone else, I find your blog very inspiring and funny! @Peter Audrain – I know this conversation is three years old so I hope there’s no hard feelings about this, but I feel compelled. And this is going to come off as total heresy from someone who is about to undergo her own weight loss regimen, is visiting a weight loss blog and doesn’t see anything special about being 100 pounds overweight (as I am). Still. I don’t like the term “healthy weight” AT ALL as pertains to human body weight. It’s a complete misnomer. It’s like looking at someone who has a cold and debating over whether they have healthy snot. Weight is weight. Fat is just energy storage. The type of abdominal fat you see with metabolic syndrome is, if I’m not mistaken, linked with systemic inflammation but aside from that, fat is just adipose cells filled to the brim with triglycerides. That’s it. It’s not the mark of Cain, a deadly communicative disease, or a deserved punishment for sin. I found some stats on a U.S. government site a little while ago that indicated an obese person (as in obese on the BMI chart) is 65 percent more likely than a person of normal weight to have metabolic syndrome, also known as Syndrome X or prediabetes. All I could say was, “Duh.” But I don’t believe the obesity causes the prediabetes. I believe it is a symptom. Runny noses do not cause colds. Obesity does not cause diabetes. Or heart disease. Or cancer. The most honest articles I run across in the media discussing this matter state that these diseases are ASSOCIATED with obesity. Again, runny noses are ASSOCIATED with colds. They do not cause them. What causes a cold? A virus, of course. What causes diabetes? For type 2, insulin resistance. What causes obesity in the BMI-obese? For the majority of them/us, apparently, insulin resistance. Bingo. Common cause. Insulin resistance is also linked with heart disease and cancer, by the way. So it is better argued that some people have unhealthy insulin resistance, not “unhealthy weight.” It is also worth noting that fat tissue and lean tissue become insulin-resistant at different rates in different people, so the same amount of IR that balloons one person up to 300+ pounds might leave another at a normal weight or possibly even underweight. It does happen, and I would argue this is one reason we have a diabetes epidemic in this country (alongside, of course, the fact that nobody wants to take a hard look at carb consumption as a cause of diabetes). Simply put, people are so busy fatty-shaming that they forget other people get these diseases too. Our refusal to look beyond the superficial is literally killing people. So there you go. Food for thought. 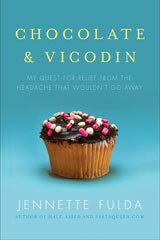 If you want more, I recommend reading Gary Taubes on the subject. The man’s a genius, as far as I’m concerned.